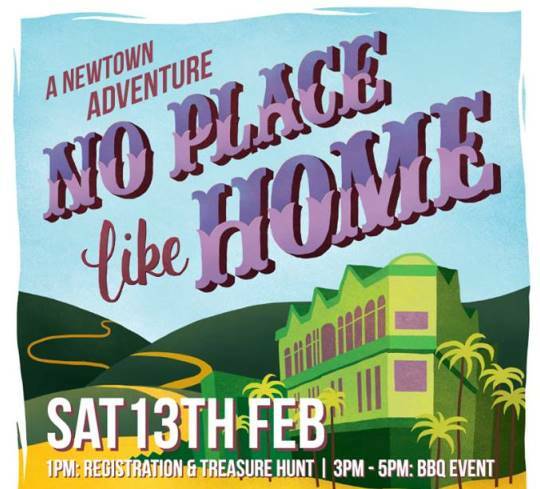 Step out your front door and into Newtown’s “No Place like Home” treasure hunt. This afternoon of adventure will open doors and take you behind the scenes to sneak a peek at some of Newtown’s amazing places. Start your adventure & collect your map at the Newtown Community Centre (cnr Rintoul and Colombo Streets) at 1pm. Followed by BBQ event at Workingmens Bowling Club, 177 Owen St. This event is free & will be on rain or shine!